Upon entering an arcade, your sense slowly acclimates to the noise and lights. That is characteristic of an individual or social haven chock full of gaming variety guarantee to provide hours of mindless electronic entertainment to spend money on. Arcades may be a dying industry in the United States in favor of home console systems, but arcades as an industry is still alive and booming in Japan. Many trends that occurred in Japan send ripple effects to other places in the world. Arcade Mania as a book discusses nine different Japanese originated games, the lasting impact they had for Japan and for the rest of the world. It is a fact book, filled with tidbits of information that would interest gamers beginner or new. Some of the games mentioned in Arcade Mania like shoot-em up, racers, or fighting games are what you would expect in an American arcade, but others like UFO catchers, sticker pictures or a Pachinko machines are quintessentially more part of the Japanese arcade scene, though there have been variations introduced to the American market where there is more of a dominant Asian crowd. For every chapter one player of that game is profiled. The one player selected particularly has a mark on that game type, whether being one that mastered the game or as a professional. This book shows off the uniqueness of what can amuse players and for those who are fascinated by Japanese electronic culture. Though others cultures like the United States or Korea have gained headways in the arcade gaming industry, no one would dispute the fascinations and origins with Japanese arcade industry. 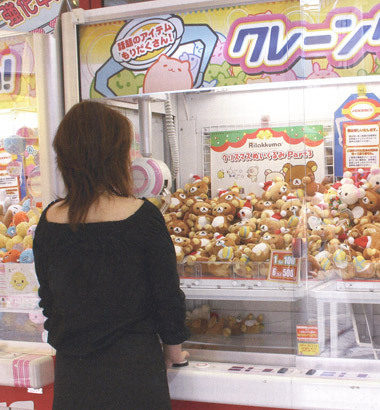 Below: A photo of a claw machine and a typical fighter game. Street Fighter: The Complete History is a book that is chock full of fantastic images, and some information on character backgrounds. 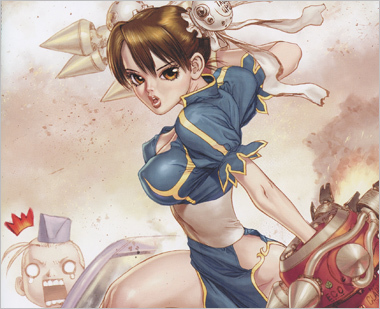 There are also extra mentions on fan driven influences such as styling your hair in a Guile style, photos of a female Chung-Li cosplayer, and mention of gaming tournaments that was influenced by this series. What also got to me was the mention that there were specific type of character gamers — a Ryu player or a Blanka player, or a Honda player — or just being a fan for a certain character, because of the nation that they're from. To the more experienced player of this game, this book may seem very general, but for the rest of the world — who are causal gamers, this book is great as an introduction into the series, and can give a sense of nostalgia for people who are old enough to remember back when the game was popularized in arcades, malls or pizza shops. Currently a top-rated show on Cartoon Network in the U.S., the story of Blue Dragon centers on a young boy named Shu and several of his friends who possess the ability to control phantom shadows that mirror the actions of their masters. The series is directed by Hironobu Sakaguchi, with character designs by Akira Toriyama, and a soundtrack by Nobuo Uematsu, so you know there's a winning team behind it! In Blue Dragon Plus, one year has passed since Shu and his companions defeated the tyrannical remnant of the Ancients, Nene. In the midst of the battle, the world split in two and now consists of a myriad of "cubes" that exploded from its depths. King Jibral notices a mysterious cube in the distance suddenly start to move violently, and from it he sees the Shadow of a Balaur, a three-headed dragon, emerge. The enormous and sinister Shadow is just the beginning of the new turmoil and devastation to come. Blue Dragon Plus ups the ante on what to expect from a Nintendo DS game. However, if you're into the thought of a engaging story with outstanding characters, and don't mind reading text as dialogue, you'll be astounded. What this game lacks in fancy graphics it more than makes up for with a compelling storyline and interesting and likable characters. Ever 17 sports some fantastic character designs, and some really amazing artwork. But, it's the story, stupid, that makes this game so amazingly amazing. The point of view of different characters come together offering clues to the complex web of storyline, which, as you play along, finally resolve into a mind-blowing third act. Plots revolving around physics, time travel, and geometric perception are mixed with fairy tale imagery of Rip Van Winkle (in the localized version, at least), genetics and inheritance, deadly plagues, and just what it means to "exist", often leaving you wondering just what on earth is going on and what sort of philosophy the game is trying to get at. Additionally, Ever 17 contains a load of unlockable extras when you finish the game's endings - and there are a lot of endings! With each ending, you get some wallpapers, screensavers, system sound sets that you can use for Windows sounds like shutting down, emptying the trash and more. This is an absolute MUST HAVE for those of us who wonder exactly what the allure is of these games that they are such a phenomenon in Japan. Play Ever 17 and you'll understand. If you've ever wanted to be a part of the Japanese Mafia (without having to lose a pinky in the process), then this may be the easiest way into the fold. Yakuza is a Japanese gangster story with a uniquely cultural outlook and a zen-simple but highly enjoyable gameplay mechanic. If storytelling and character development mean as much to you as framerate and polygon counts, then this excellent and engrossing title is definitely in your league. Sega has crafted a game for the PS2 that for once, uses an actual published author — Hase Seishu, a well-known Japanese crime novelist, has written a stirring tale dripping with a Japanese aesthetic. 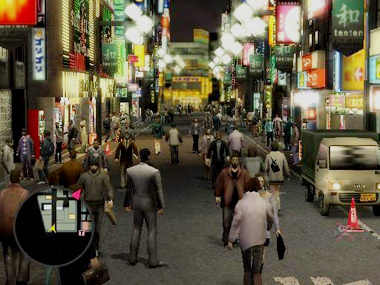 The game follows the exploits of Kazuma Kiryu, a gangster caught up in the internal politics of a Tokyo crime family. He takes the fall for a crime he didn't commit, spends a good long time in jail, and upon his release sets about discovering what happened to his friends and loved ones. What follows is a surprisingly deep story. A tale that begins with a fairly straightforward structure quickly twists and turns, involving money, women, and the power structure of the Yakuza clans. Behind all this, the numerous stories that make up daily life in a little corner of Tokyo take place. If you remember the groundbreaking Shenmue for Dreamcast, then Yakuza will make you feel right at home, except that it has better graphics, better gameplay and a deeper and more compelling storyline. Traditional RPGs (Role Playing Game) have focused on either a fantasy genre or a sci-fi theme. 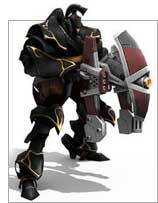 Rising Force Online, by Codemasters provides a mix of both worlds, resulting in an interesting blend of magic and mecha. This next-generation MMO delivers a one-of-a-kind Player versus Player gameplay within a universe where three different factions are at war with one another. Set in a deep space galaxy known as Novus, take your pick from three all-powerful warring factions leading your character into the final battle for total control over the entire Novus galaxy. Chose from either the Bellato Union, taking control of individual robot battle units like never seen before within any MMOG, Holy Alliance Cora, the mystical and fantasy orientated race utilizing the power of magic and finally the mighty Accretia Empire, a futuristic alien race intent on spreading destruction across the entire sector with their advanced weaponry systems. 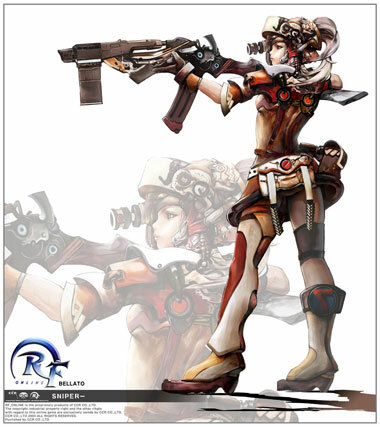 With breathtaking graphics, realistic (insofar as realistic as any universe in which "magic" works) gameplay, RF Online is an entirely new and original take on the existing MMORPG game world. The setting is a galaxy in deep space where magic and science co-exist. To rule this galaxy, three factions using very different approaches will go to war. Choose to fight against either science or magic — or mix them together for a different set of strategic options. Wreak devastation on your enemies across all sectors of the galaxy! 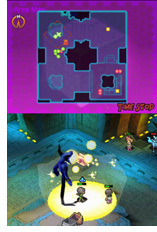 Below: Promotional art and a screenshot from RF Online. Anyone who's a long time gamer would know of Nintendo, and may have even owned several generations' worth of releases from this company. So what happens if you want to know some history from this immensely successful company, and there are barely any in-depth books about it, either in English or even in Japanese? Then be sure to check out Nintendo Magic by Osamu Inoue, and released by Vertical Press in English with an updated epilogue from its Japanese counterpart, Nintendou: "Odoroki" o unmu houteishiki. Osamu Inoue is a correspondent from Nikkei Business Publications, and he was granted a rare opportunity for extended one press on one interviews with executives of Nintendo. (Nintendo has rarely conducted interviews, choosing to specifically communicate with the public through press releases.) From those interviews, Inoue wrote a series of articles that was eventually compiled into this book. Without spoiling much detail from this book, Nintendo Magic details the history of Nintendo from its beginning success in hanafuda cards, to the NES systems, and its current success with the DS/Wii. The book has parts that identify the various personalities that shaped the products for this company; to the companies own personal value/mottos and public persona in the mindset of its customers. From the initial interviews, choice quotes were taken, and begin each chapter in the book, setting the tone for that chapter. My favorite quote happens to be from Satoru Iwata who said, "What's important isn't next-generation technology, but next-generation game experiences. Computing technology isn't that big of a deal." Nintendo as a company knows its own worth against many other competitions. The book has charts, graphics and numbers of its values against other products, with a specific section dedicated to Sony, and current comparisons against Apple. With the various pictures, graphs, and charts in the book printed only in black and white, the cover makes up for the short comings in terms of a sensual feel. The cover is also of Nintendo's current signature Wii color, as with the simple design of a directional pad, in the back cover and an on/off button on the side. Nintendo goal is to be a simple, yet entertaining system. However, reading this book means that you are a person who want to know more about this company. For some people, this book is a bit of a dry reading, but for others, it is a compelling non-fiction on a much beloved company. As research material, this is a very good source for reference, yet if there were any chances for future reprints, the publishing company better add an index in the back of the book. Hector, for reasons undisclosed is away from Dracula, healing at a village near the border of Romania. But, before talking more about him, the panels of this manga establishes the background of a world that is unfamiliar for readers who have never played the video game before and it is a pretty gloomy unforgiving one. The video game is a platform game similar to Super Mario or Sonic, where the player clears stages as Simon Belmont. There is mention of the Belmont family, which the game focuses on, and in later volumes the Belmont family is to become more prominent. This manga though, is inspired from the world of the video game, and centers on the conflict of the generals and the downfall of Ted, a boy living in the village where Hector is healing. He waits for his mercenary father to return. There is the consistent theme on the act of committing sin, or redeeming oneís self from wrongdoings. Good and evil is drawn very clearly between the dark and the light, yet there are gray characters, those that readers should definitely be aware of. A read alike for this series is Record of a Fallen Vampire on the human/vampire conflict, and of a darker world ruled by vampires. Another possible read alike for this series can be Trinity Blood, since there is mention of an omnipotent church, and vampires. For readers to pick up this book, there is definitely an attraction for the horror subjects in this book, for the tragic vampires, or may have already played the game. I remember reading David Sheff's "Game Over" about a decade ago. The anecdotal writing style was intimate and gave a real sense of who the people were behind the game industry. However, the book suffered from inaccuracies because it depended upon people's memories of events, which often were at odds with what was *really* happening. Enter "Phoenix" by Leonard Herman, and you have all the data presented accurately, but the book was dry as hell. Now comes The Ultimate History of Video Games and author Steven Kent has gotten it right at last. An entertaining read, it covers everything from Atari's Al Alcorn and Nolan Bushnell through to Square's Hironobu Sakaguchi and Sony's Kaz Hirai and is the best account of video game history to date. Ultimate History's conversational tone, broad scope, and authoritative direct quotes make it very compelling as a narrative but just as useful as a reference. At times, the comprehensiveness is exhausting — 500-plus pages on video games may be a bit much, even for their most ardent admirers. Kent, a technology journalist and self-professed video game addict, covers almost every conceivable aspect of the industry, from the technological leaps that made the games possible to the corporate power struggles that won (and lost) billions of dollars. Equal parts oral history, engineering study, business memoir, game catalogue and Gen-X nostalgia trip, Kent's book is a loving tribute to one of the most dynamic (and profitable) industries in the world today. Gamers should note that this is a reprinted but noticeably improved version of Kent's self-published The First Quarter, with a full index, more photographic examples, a more attractive layout, and the removal of all the confusing typos and minor errors. What more could a videogame history buff ask for? Today it's even less subtle. Games like "Black" put children in the middle of a realistic combat situation -- complete with RPGs and an AR-15 rifle with almost unlimited rounds of ammo. We are training today's kids for tomorrow's wars, and the Military Entertainment Complex shows no signs of abating. Shoot-em-ups like Half Life are enormously popular and very few realize the level of brainwashing happening within an industry that makes more money than Hollywood. "From Sun Tzu to Xbox - War and Video Games" is a fascinating and, at times, bone-chilling in-depth look at how war has influenced videogames and how videogames are influencing the art of warfare. Stretching from 3000 BC to today, this book investigates how military cultures and the evolution of games have been closely linked, from video gaming's ancestors like chess and go, to the popularization of the 19th century Kriegspiel, to the development of computers for use during World War II and the invention of video games by Defense Department-funded computer hackers (Space War!). Readers will discover how war fantasies played out from the early arcade years to the rise of online gaming, how the military began working with companies like Nintendo, Atari and Microsoft to produce training devices, and how today's generals hope to sell recruitment to a new generation of joystick warriors. Coming from an avid game playing background, this book has allowed this reviewer to remain on firm ground while gaming. It's one thing to be manipulated, but another to be unknowingly manipulated. Knowledge is power. Read this book. 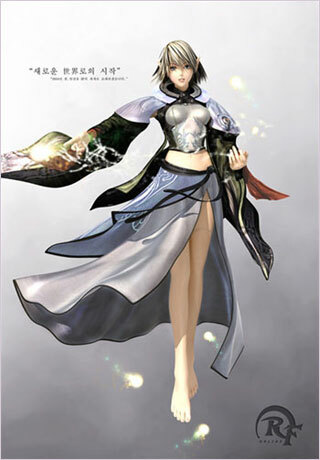 Below: Promotional art RF Online.